WILLIAMSBURG (September 7, 2013) – Peace, love and happiness filled Das Festhaus® at Busch Gardens® Saturday morning at the park’s annual Pass Member Appreciation Weekend kickoff. Pass Members who attended the event were the first to hear about a new Christmas Town™ Pass add-on offer, Howl-O-Scream® and Christmas Town details, as well as a new British rock-n-roll show debuting next year in the park’s Globe Theatre. Annual Pass Members that provides unlimited admission to Christmas Town for the 2013 season. The $30 pass add-on is the same price as a Christmas Town Single-Day Ticket and Pass Members retain their membership benefits, including free parking and in-park discounts. For a limited time, pass members can purchase the Christmas Town Pass add-on for $25. Pass members can visit www.bgwpass.com and log in to their Pass Member account for complete details. Christmas Town fans without an Annual Pass can visit buschgardens.com/va to become a pass member and then take advantage of this pass-member exclusive offer. 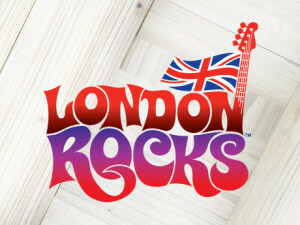 Busch Gardens, known for high-caliber productions like Celtic Fyre® is raising the bar again in 2014 with the debut of London Rocks™. Guests will embark on a musical journey that explores the roots of rock-n-roll and transforms Busch Gardens’ Globe Theatre into a rousing 25-minute live action and multi-media rock spectacular. The musical revue explores the powerful role that music plays in people’s lives. A team of more than 200 musical directors, designers, technicians and artists is taking on this ambitious Busch Gardens’ production. Six Flags America today announced a new Mardi Gras section of the park along with the addition of two exhilarating new rides. 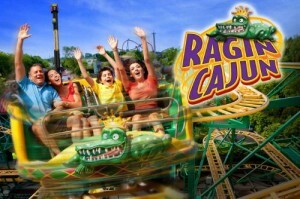 Ragin’ Cajun, a spinning, fast-track roller coaster, will be the theme park’s 9th roller coaster. Ragin’ Cajun will be joined by a new family-friendly, flying ride dubbed French Quarter Flyers. Both attractions will be located in the festive new Mardi Gras section of the park. Guests will discover a celebration every day as snappy jazz and zydeco tunes pour into the streets of Mardi Gras. The entire area will be a party inspired by the energy of New Orleans with delicious foods, exciting games, tasty beverages and fun retail items to match the lively spirit of the South. Ragin’ Cajun is a fast track roller coaster that twists, turns and tilts as groups of four riders zigzag through 1,378 feet of dizzying 360° spins, breathtaking drops, sudden twists and erratic speeds. The roller coaster’s uniquely-designed train spins independently as it zips through a course as wild as its name and will add a new and adrenaline-charged ride experience to the existing coaster collection. DOSWELL, VA (December 18, 2012) — Eight new rides await families at Kings Dominion when the bigger, better Planet Snoopy opens in the spring of 2013. Combined with the re-themed rides, Kings Dominion’s Planet Snoopy with boast 18 total rides and will span nearly 14-acres, doubling its current size. All of new and re-themed rides, based on one of the most believed comic strip characters, are designed for families to experience together. • Snoopy’s Rocket Express: An aerial monorail that gives families a view high above Planet Snoopy. • Flying Ace Balloon Race: Hot air balloons that lift up 15 feet into the air, as you spin around. Each balloon represents a different country throughout the world. • Linus Launcher: This ride will give families a sense as if they are flying around together in Planet Snoopy.